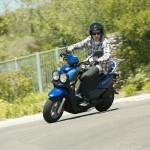 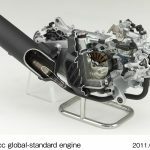 Yamaha unveiled the new 2012 Zuma 50F four-stroke scooter, the replacement for the two-stroke Zuma. 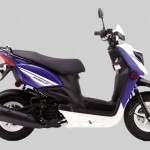 The new 2012 Yamaha Zuma 50F is powered by a 49cc liquid-cooled fuel injected four-stroke engine, an update from the 2011 Zuma’s 49cc air-cooled carbureted two-stroke engine. 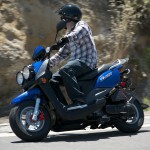 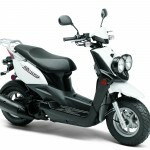 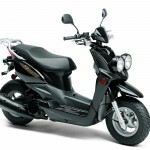 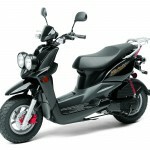 According to Yamaha, the Zuma 50F claims an estimated 132 mpg compared to the two-stroke Zuma’s claimed 123 mpg. 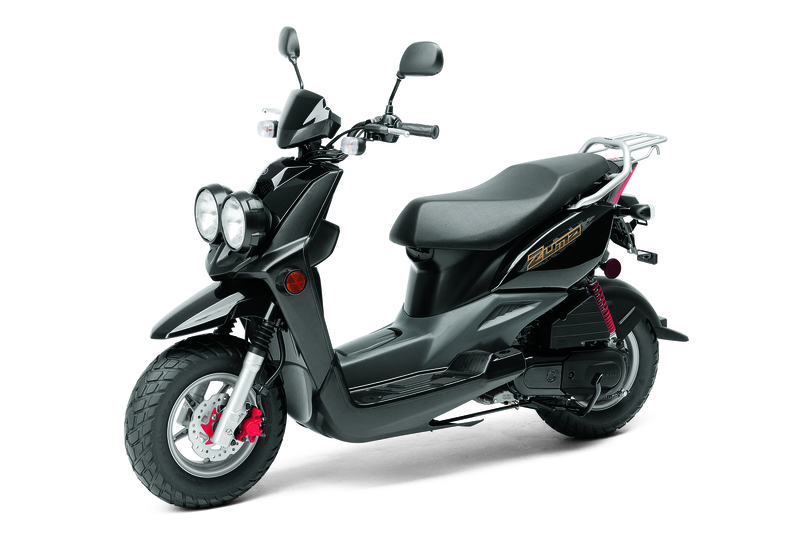 The 1.2 gallon fuel tank is positioned low in the frame and can be refilled without opening the seat unlike many scooters. 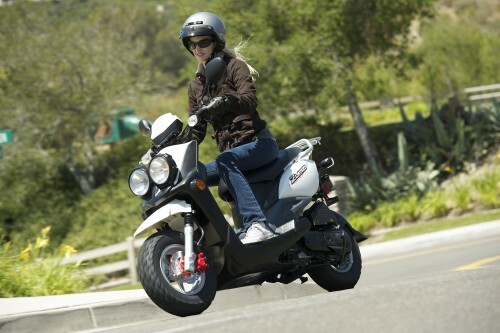 Underseat storage capacity is 23-liters, about enough to hold an XL full-face helmet and other items. The braking system uses a wave-shaped 180 front brake disc and rear drum. 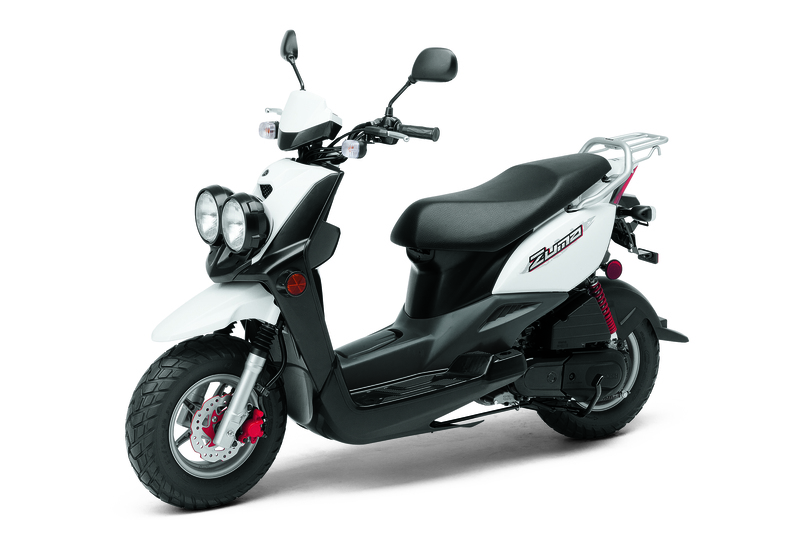 Fat 120mm tires, wide bar-type handlebars and twin headlights offer an off-road inspired appearance to the 50cc scooter. 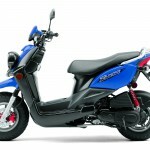 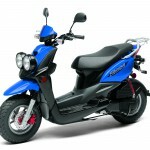 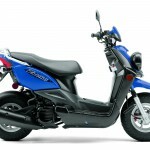 The 2012 Yamaha Zuma 50F will be available in Raven, Yamaha Blue and White, or Alpine White with a retail price of $2,490. 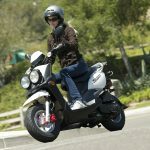 Gallery and press release after the jump. 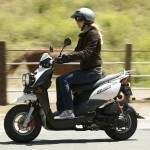 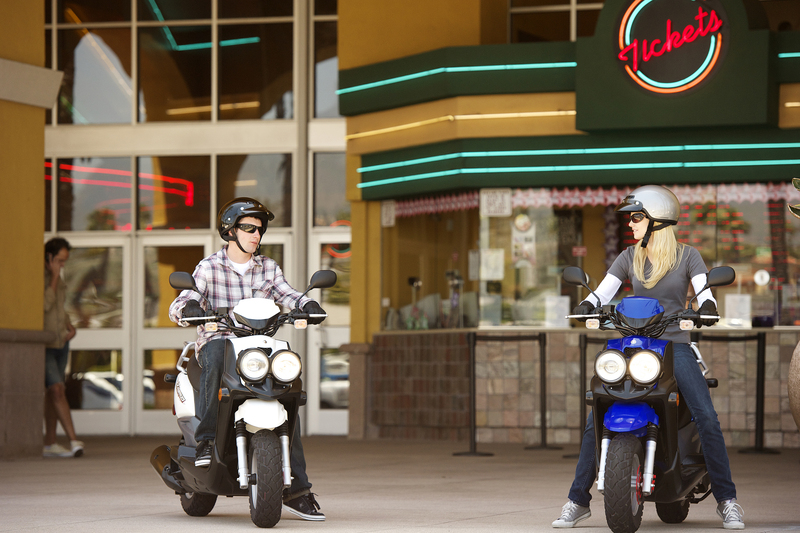 Cypress, California, June 8, 2011 – The all-new 2012 Zuma 50F is a tough, yet sporty 49cc scooter that makes going places fun, even commuting to work or school. It features a liquid-cooled, fuel-injected, four-stroke engine that is powerful, quiet, and low-maintenance. Sharp new styling and twin headlights on this new model update the original “‘tough, off-road” image of the Zuma, while fat tires give that “go anywhere” look. 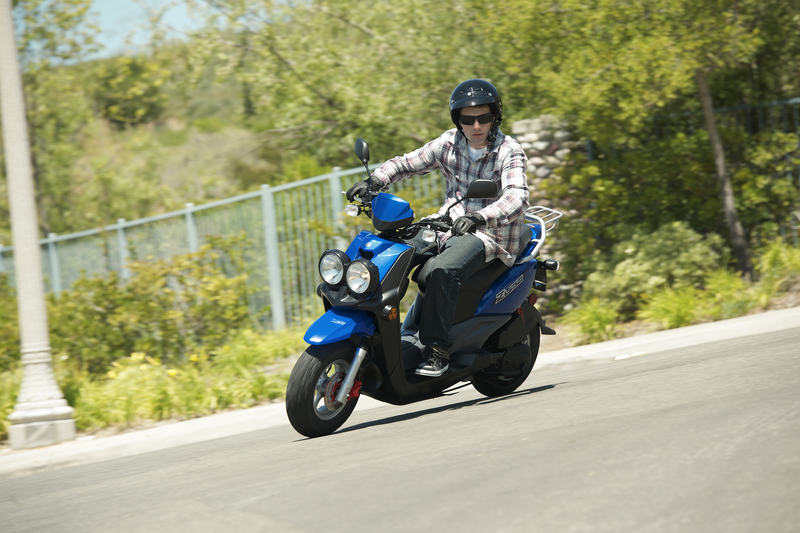 In addition, the Zuma 50F achieves fuel economy up to an estimated 132 mpg*. 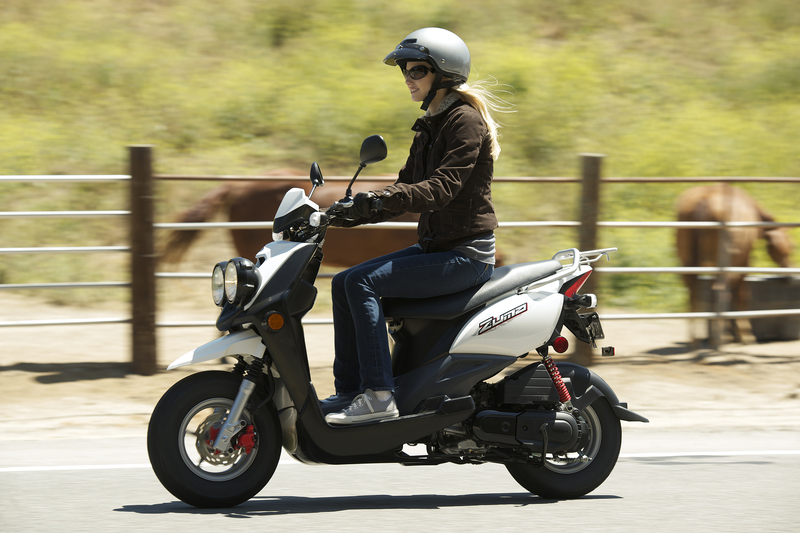 Electronic fuel injection provides smooth, seamless power and nearly instantaneous starts while the fully automatic V-belt transmission provides easy, twist-the-throttle-and-go operation. 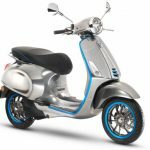 The pushbutton electric starting gives ultimate ease of operation and the air-induction system and exhaust catalyst technology reduce air pollution. 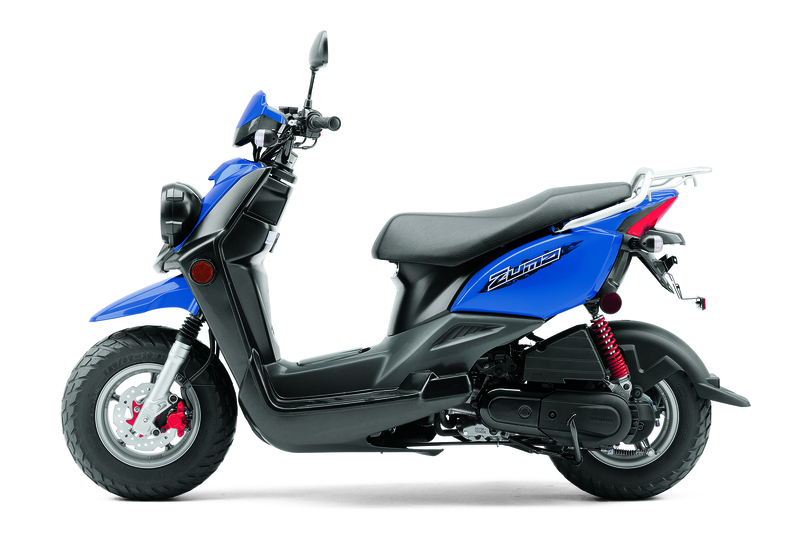 The large-gauge steel pipe frame offers strength and rigidity and the 1.2-gallon fuel tank positioned low in the center tunnel provides centralized mass and extra convenience – the tank can be refueled without opening the seat, unlike many scooters. 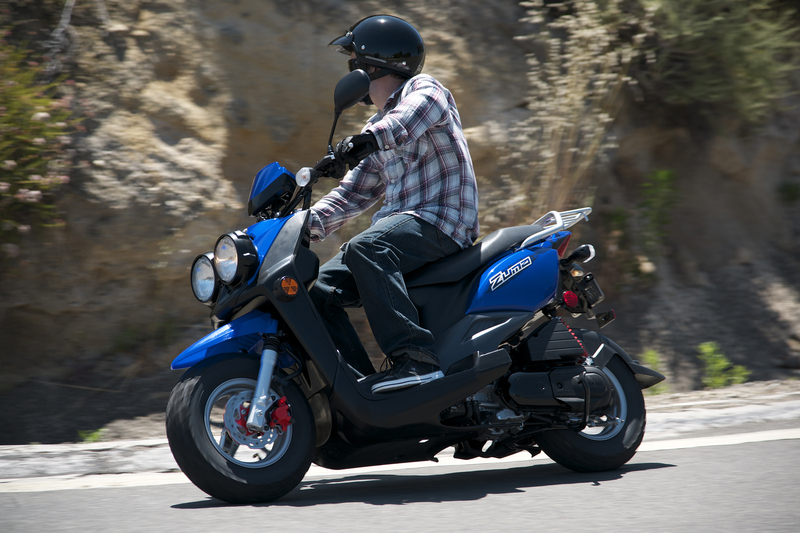 The stepped seat allows for an open and roomy ride for two, along with lots of locking storage underneath and added conveniences like an inner pocket and fold-out hook. 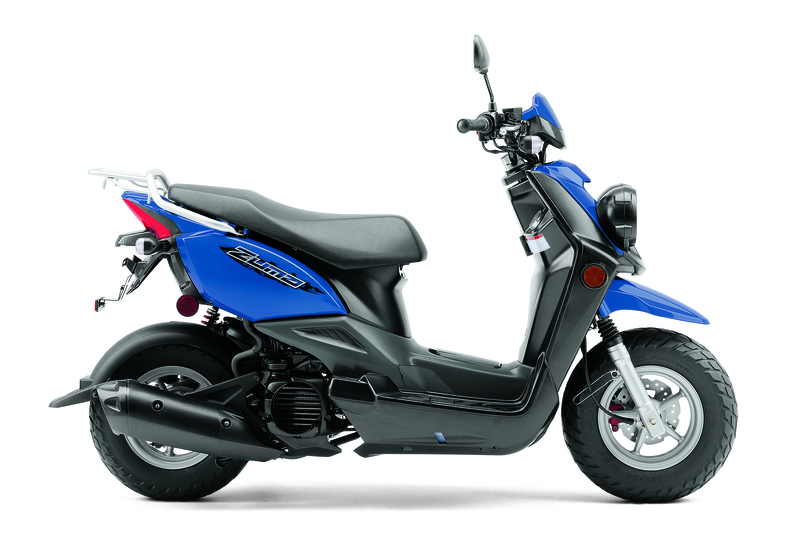 The all-new 2012 Zuma 50F comes in Raven, Team Yamaha Blue/White or Alpine White with an MSRP of $2,490 and will be available in dealerships nationwide beginning in September. 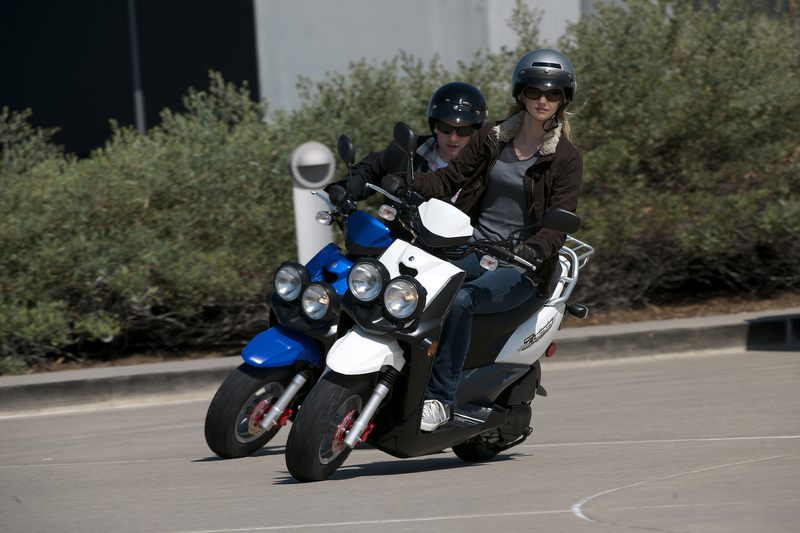 The 2012 Majesty is a high-tech transportation unit that blurs the boundaries between scooter and motorcycle – highly utilitarian performance. The rugged, reliable and powerful 395cc liquid-cooled four-stroke engine and fully automatic transmission mean there is more than enough power to run at highway speeds, with room for two and plenty of storage space. 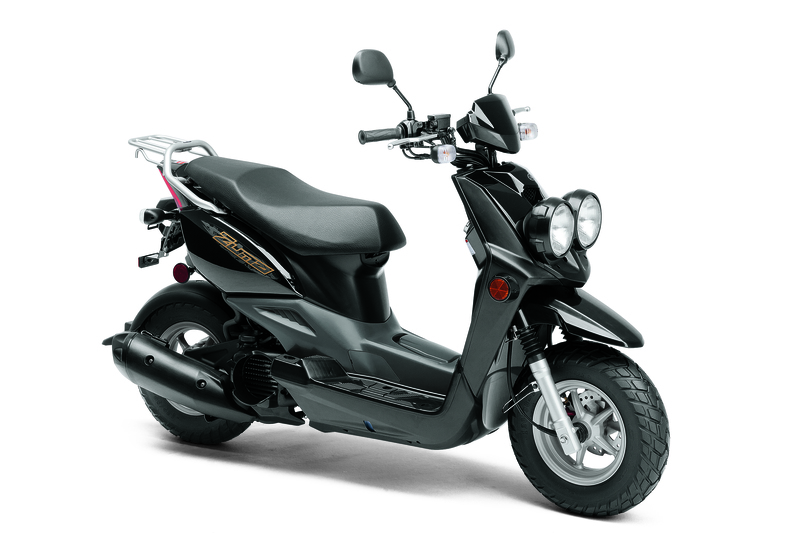 The electronic fuel injection delivers excellent throttle response and low-maintenance reliability, while the dual chamber air box, air injection system and exhaust catalyst technology reduce air pollution. 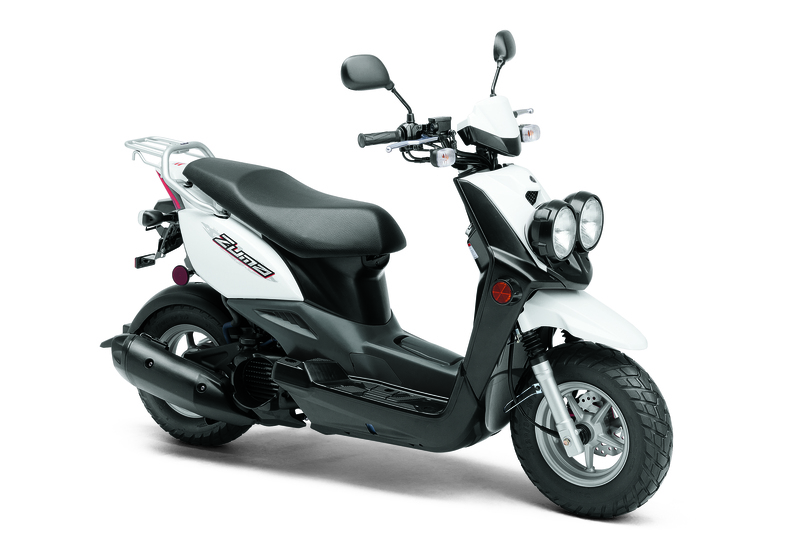 The aluminum, die-cast alloy main frame with steel tube sub frame is light and rigid for increased performance and handling. 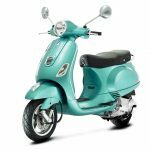 Full instrumentation includes an analog speedometer and tachometer, along with an LCD multifunction display that includes a fuel gauge, coolant temperature gauge, ambient temperature gauge, plus V-belt and oil indicator lights. 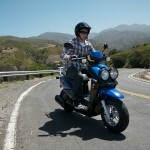 The 2012 Majesty comes in Charcoal with an MSRP of $6,750 and will be available in dealerships nationwide in August. 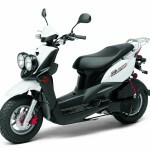 * Fuel economy estimates are based on US EPA exhaust emission certification data obtained by Yamaha. 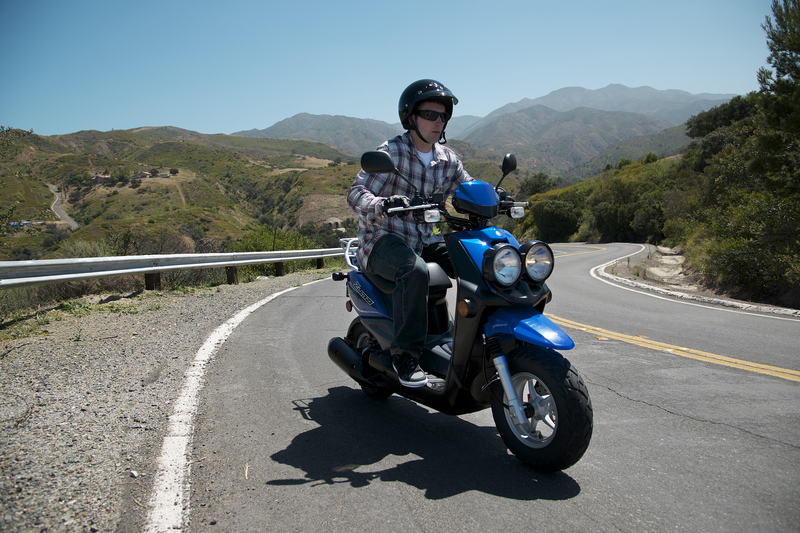 Your actual mileage will vary depending on road conditions, how you ride and maintain your vehicle, accessories, cargo, and operator/passenger weight. 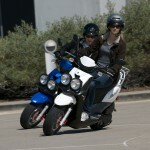 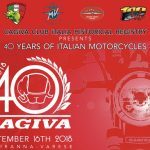 More information on all Yamaha models can be found at yamaha-motor.com.